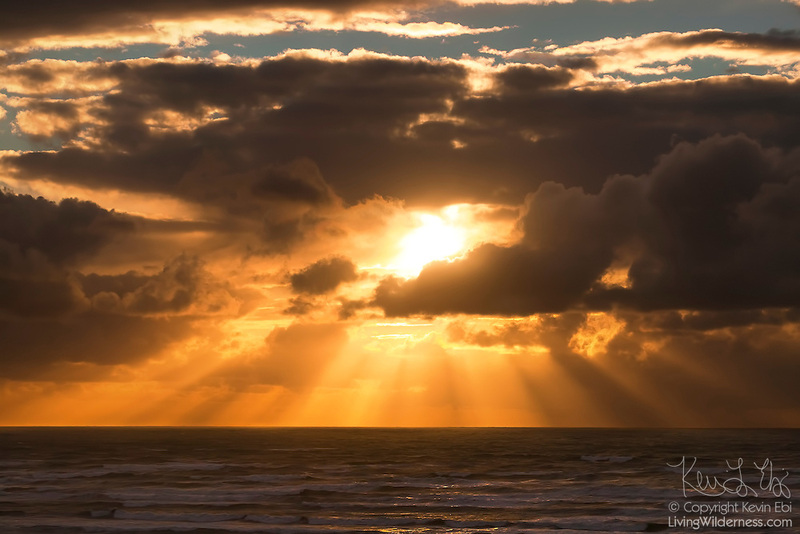 Vibrant shafts of light, called crepuscular rays, radiate from the sun as it sets over the Pacific Ocean. The clouds surrounding the sun cast their shadows over the ocean, forming the beams. This image was captured in Pacific Beach, Washington.